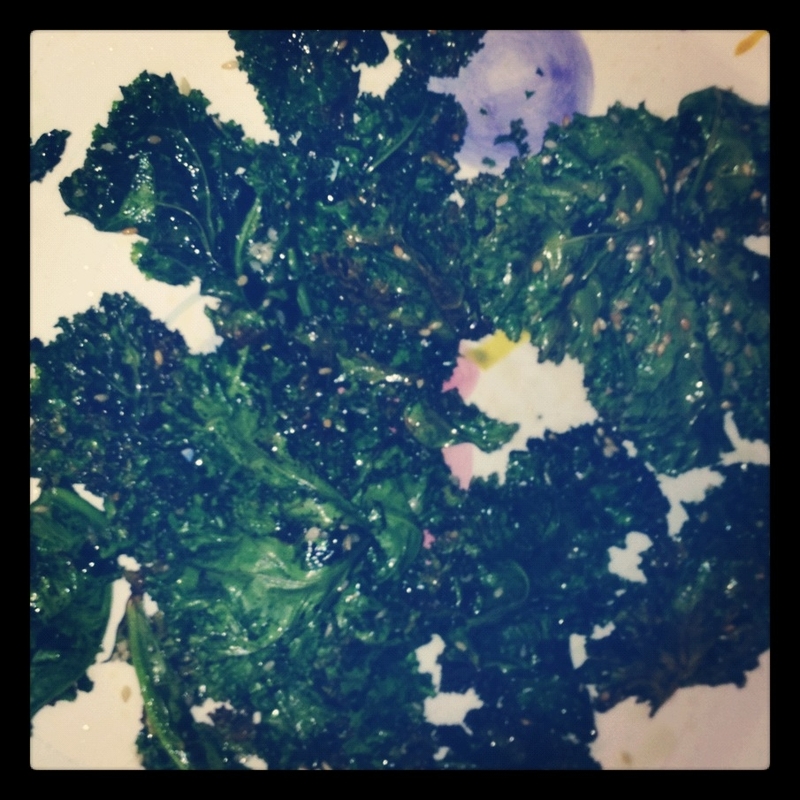 I don't think I have ever made something easier than Kale Chips. Flip and cook another 5 min. These came out WAY better than I expected. Nick liked the Sesame while I liked the Garlic Salt but we both thought it came out tasting more like popcorn than chips. 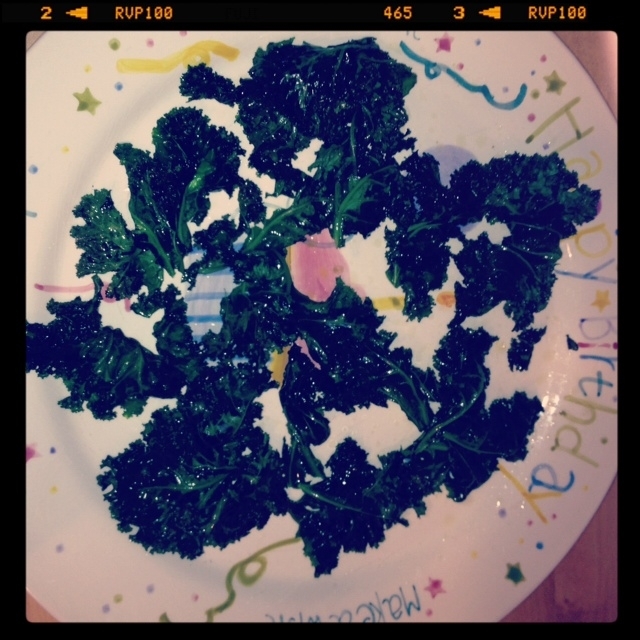 Hmmmm...maybe thats next - popcorn kale??? ?